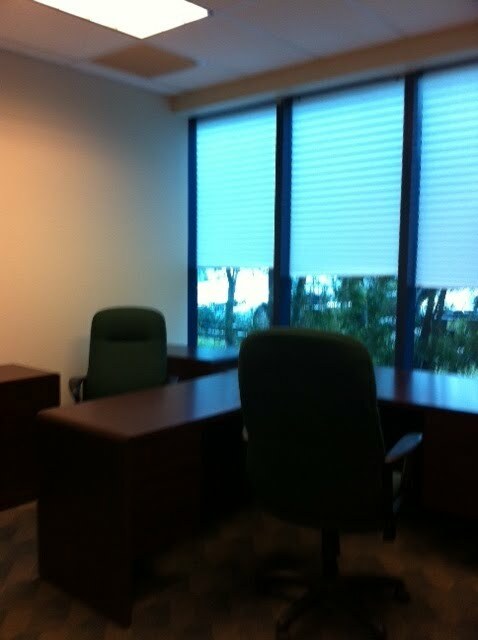 Many of us spend more time in our office than we do at home, so why not take the time to make your workspace warm and inviting so you feel good while working? 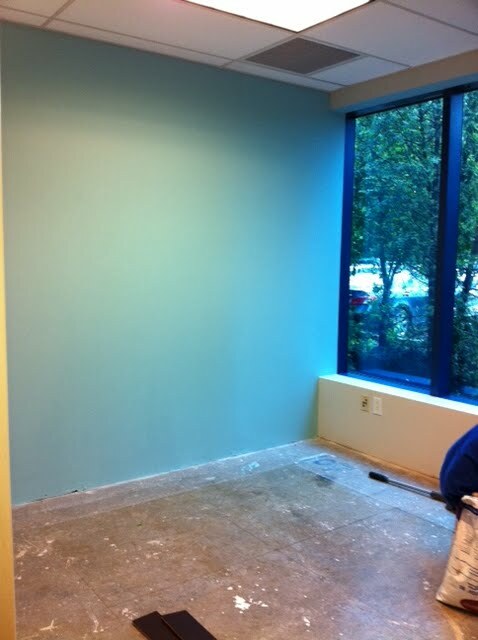 Just last week this is how our client's office space looked. Together we put a design plan in motion to suit her needs. 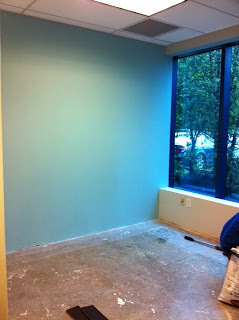 We added a fresh coat of paint with a bright and friendly blue accent wall and look what a difference it's already made. Check back with us to see the new floors installed which are being done as I write this note to you!